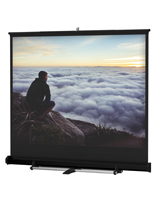 This large projection screen with wheels, the largest size offered by this online store at 12'w x 9'h, collapses to fit into a 44" x 18" x 13" hard plastic carry case for storage and road trips. 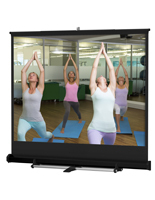 This media showcase can be used as a business and educational presentation tool at conventions, in schools, and universities. 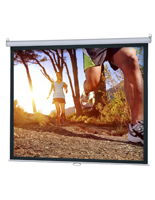 This projection screen with wheels may be too big for trade show booth use (typically exhibit spaces measures 10' x 10') but it can work in an adjacent conference room or hall depending on the room dimensions. 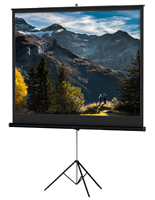 The oversized "canvas" of this system ensures audience members from as far as 50' away can see the subject matter. 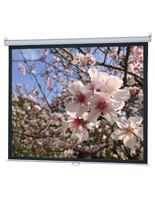 This commercial projection screen with wheels even doubles as a home theater for reunions of families and classmates. 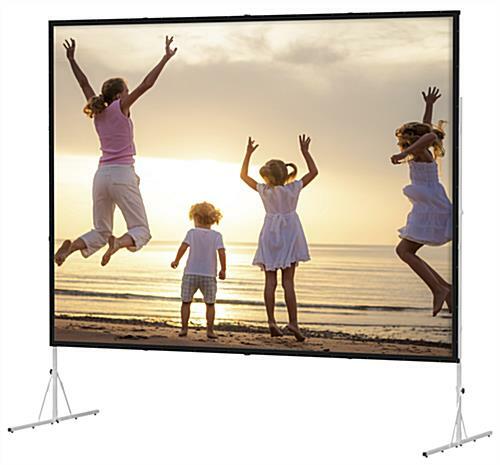 Display video and slideshows on this bigger-than-life canvas that measures 140" x 104" (174" on the diagonal) and grab audience attention from the back row. 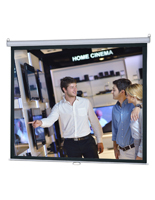 This projection screen with wheels and built-in handles travels easily in the included carry bag that meets the requirements of the airline transport authority. 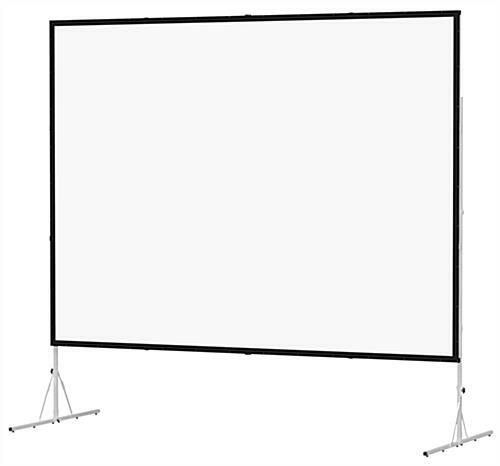 Assembly can be done by one person, though some people may prefer one helper.